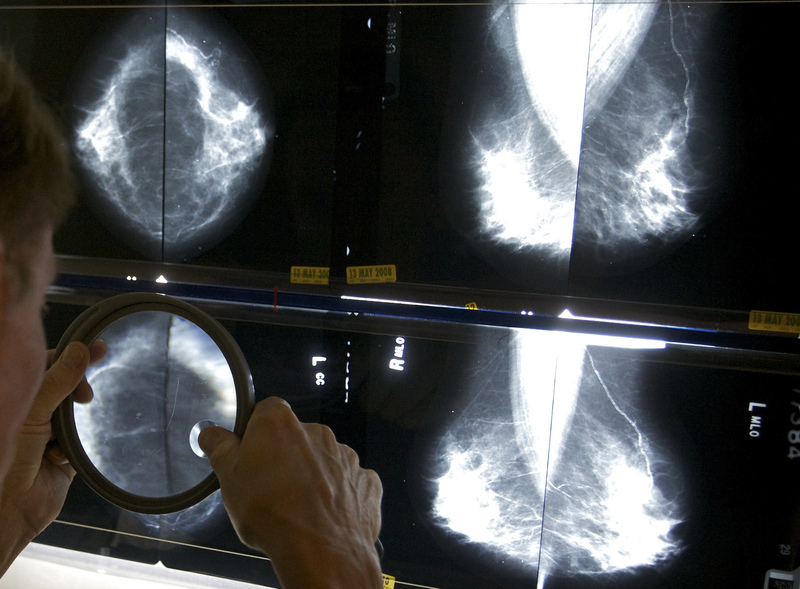 A controversial new study has found that annual mammograms may not help reduce breast cancer deaths and may increase the number of women unnecessarily getting treated for breast cancer. The Canadian study tracked almost 90,000 women for 25 years, and found that having an annual mammogram between the ages of 40 to 59 did not lower the chance of dying from breast cancer more than having a physical examination. The study, which was published in BMJ on Feb. 11, disconcertingly showed that 22 percent of invasive breast cancers were overdiagnosed by mammography, meaning the tumors would usually have been too small to cause symptoms or become life-threatening. The BMJ researchers said that the current screening guidelines may be too much, and should be reconsidered. Breast cancer screening guidelines in the U.S. have been a source of debate in recent years. The U.S. Preventative Services Task Force, a panel of medical experts that advice the government, said in 2009 that women should only get mammograms every two years starting at 50. Before that age, the decision to be tested should be between the woman and her doctor, which usually meant it was not recommended unless the woman had high risk factors for breast cancer like specific genes or family history. The panel argued that many mammograms lead to false positive results, and were detecting cancers that were too small to need treatment, leading to unnecessary procedures. A later JAMA study showed that women who followed the panel's recommendation were at no higher risk of late-stage cancers than women who got the test every year. However another study found that in women over 50 who had mammograms, for every one life saved, there were three women who were overdiagnosed. The task force's recommendation contradicted the American Cancer Society’s and American College of Obstetricians and Gynecologists’ advice for annual mammogram screenings starting the 40 years old. Some studies have shown that starting biannual screenings at 50 would lead to more missed cases of breast cancer that would eventually lead to late-stage cancers. Another study showed that 50 percent of breast cancer deaths were attributed to women under the age of 50. In an editorial that accompanied the latest Canadian study, experts led by Dr. Mette Kalager, a researcher at the department of health management and health economics at the University of Oslo in Norway, pointed out that the BMJ research was the first to use data from modern mammograms and treatments of breast cancer, and the women were all taught the methods for physical breast examination that are still in use today. They wrote that the rate of overdiagnosis may even be higher than studies have found because the number of diagnosed ductal carcinoma in situ -- the earliest form of cancer which accounts for one out of four breast cancers found through mammography -- was not included in the 22 percent calculation. “I do think that as guidelines evolve and we reconsider guidelines, we should pay attention to this paper,” added Dr. Eric P. Winer, director of the Breast Oncology Center in the Susan F. Smith Center for Women’s Cancers at Dana-Farber Cancer Institute, to CBS News. Winer, who was not involved in the study, said it was important to note that the researchers and the editorial writers did not suggest changing the recommendations right away, but that more research should be done on the topic. He said the study highlights that many women are being diagnosed with cancers through mammograms but may have gone their whole lives without feeling any effects from the disease. “I do think the article and editorial are shining a bright light on what continues to be a vexing issue,” he said. Winer personally believes that most women should follow the task force's advice. He also argued that the study showed that mammograms and treatments are better than they used to be, meaning that smaller cancers are being found. In addition, advances in medicine have made it so that even advanced cancers are not as life-threatening in 2014 as they were decades earlier. “There have been many, many studies looking at the benefits of mammography, and this is really the only one (that doesn't show that). Many others did shown a really profound and significant benefit, and that’s what recommendations for mammography were based on,” Port, who was not involved in the study, explained. Port pointed out that there are some flaws with the study, including the fact that mammograms and treatments have changed since the 1980s when some of the data was first compiled. She added that the data in this study was included when the current recommendations for mammography were created. “There is no question from my perspective and those of us who do this the recommendations for mammograms should not change,” she said. Dr Alice Rim, head of breast imaging at Cleveland Clinic, added to CBS News that the study did not have a good control group for comparison, or women who were not screened for mammograms. In addition, some of the women who were advised to get a mammogram already had a tumor, which could have skewed the results. “A lot of this data or analysis that was gleaned from a study that we all know is a horribly-run study,” said Rim, who was not involved in the research. Rim, who personally backs annual mammograms beginning at age 40, said she fears that this new research will just lead to more confusion for women. “This is really going to throw a wrench in getting women in for early detection,” she argued.